'Hidden Universe Travel Guides: Star Trek: Vulcan' by Dayton Ward is a fictional travel guide to a most unusual world. It's a pretty good parody of travel guides with lots of winks and nods to the world of Star Trek. The book begins with an overview of the planet Vulcan and includes etiquette, lodging tips and a history of the people. The book then talks about the different regions of the planet like Sikahr, Kir Province, T'Paal and Vulcan's Forge. Each section talks about the history of the area, how you can get around, and what there is to see and do in the region. Shopping, dining and lodging options are discussed. Throughout the book, various well known Vulcans (and other characters) from all the series show up with something to add. When I was young, I remember a school project where we had to plan a fictional trip to a real place. I would have had a lot more fun planning a trip to Vulcan. The book is filled with gorgeous illustrations by Livio Ramondelli and Peter Markowski. The writing is light and fun and I had a great time reading this and finding all the sly references to Star Trek moments. I received a review copy of this ebook from Insight Editions and NetGalley in exchange for an honest reivew. Thank you for allowing me to review this ebook. In the first part of the book, Stitch is living with Yuna and her grandmother on the Okinawan island of Izayoi. Familiar characters Dr. Jumba and Pleakley show up as well. In these stories, Yuna and stitch go fishing and do laundry and enter a costumer festival. In the second part of the book, Stitch is with Lilo and her sister Nani. In these stories, Stitch makes art and a cake. He also makes it snow in Hawaii, and goes treasure hunting at the beach. Each story is 7 or 8 pages long. While I prefer Lilo because she was in the movie, Yuna is a fun character too. I think I'd prefer these stories without so much Jumba and Pleakley, but that's just a personal preference. The art is pretty good too. These would be fun stories for younger readers. 'Elephi: The Cat with the High IQ' by Jean Stafford with illustrations by Erik Blegvad is about a clever, but lonely, cat and the lengths he will go to in order to find a friend. Elephi Pelephi Well Known Cat Formerly Kitten lives with his people in a posh apartment in New York. He got his odd name, Elephi, from a trip his people went on to Greek. His life is fine, but a bit boring. He really would like a friend. He spies a white Fiat, named Whitey, outside his window in the snow and the scheming begins. Elephi is a clever cat, but it's possible he is too clever for his own good. Hilarious, outlandish events follow as Elephi finds a way to meet Whitey. It's a very cute story. It's also from another decade, but I think it holds up really well. The illustrations enhance the story, but Elephi is such a clever cat that the story would hold it's own without drawings. I found myself smiling as I read about this scheming cat. 'Everafter Vol. 1: The Pandora Protocol' by Lilah Sturges and Dave Justus brings together the first 6 issues of Everafter: From the Pages of Fables. It's best to have an understanding of who these characters are before diving into this volume. It's a post-Fables world, but some of Fables find themselves still around and working for the Shadow Players, kind of a James Bond type spy agency led by a guy named Feathertop. While Bo Peep, Peter Piper and Hansel are trying to get to St. Louis to capture/stop a new threat, something horrific happens. Meanwhile, Connor Wolf, shapeshifter and uncontrollable braggart, is introduced to Feathertop as a new agent. Will Connor be a help or a hindrance or will Peter Piper end up killing him first? It does lack something that the original creator, Bill Willingham, brought to the series, but it still holds up as a concept. The new weird threat they are after is darn creepy, even if she reminded me of a character from The Twilight Zone. The art is solid. I liked this book and I'd like to read more in this new series. I received a review copy of this graphic novel from Vertigo, DC Entertainment, and NetGalley in exchange for an honest review. Thank you for allowing me to review this graphic novel. 'Billie Holiday' by Carlos Sampayo and José Muñoz is a graphic novel about the famous jazz singer. She didn't have a picturesque life, and this book doesn't flinch from that. The book begins with an essay by Francis Marmande, a writer and journalist for Le Monde. The graphic novel has a framing story of a journalist doing a story on the 30th anniversary of Billie's death. What follows is not a complete story of her life, and it's certainly not a happy one. Billie had her own problems with drugs and men, and those are presented in an unflinching way. She was also discriminated against and faced racism in spite of her tremendous fame. The book is drawn in stark black and white. The figures come across as caricatures with garishly drawn features. The incidents here are ugly and don't serve to put Billie Holiday in the best light. She had a hard life, and this book doesn't make any excuses for that. I appreciated the approach this graphic novel took. 'The Bridge of the Golden Wood: A Parable on How to Earn a Living' by Karl Beckstrand with illustrations by Yaniv Cahoua is a story to spark imagination and innovation in young minds. A child walking in the woods runs into some fish who are stuck. He finds a way to help the fish, and it turns into a chance to make some money. The story gently teaches the story. The boy helps the fish, and ends up providing a service. There are additional activities in the back of the book to reinforce the lessons of the story. It's a simply told story. The illustrations are rather nice. I liked the fact that the story wasn't so heavy-handed. I received a review copy of this ebook from Premio Publishing & Gozo Books, and NetGalley in exchange for an honest review. Thank you for allowing me to review this ebook. 'Return to Augie Hobble' by Lane Smith is a book that can't quite decide what it wants to be. Which is too bad, because I really like other things Lane Smith has done. Augie Hobble has his father's strange amusement park to run around in. It's got names that sound familiar, but won't get his dad sued for swiping them. He's got a crush on a girl, a best friend, a bully that won't leave him alone, and a research paper that he can't decide what to do with. As Augie wavers back and forth on what his project should be, it felt like exactly how this book got written. There are funny parts, and there are some tragic parts. Augie manages to grow through the process, but the tragic part feels really cheapened by it's lack of finality (or alternate finality, I suppose). There are a lot of things happening in this book, and some of them feel like they get shorted along the way, and that's too bad because I really wanted to like this one more. 'The Flash, Volume 2: Speed of Darkness' isn't a bad bit of storytelling. It's also a fairly accessible title for new readers to jump into, unlike some of the other Rebirth titles I've read. There is a new Kid Flash and his name is Wally West. He even meets his older namesake at some point in the book. Wally's mentor is The Flash, but he doesn't know who the Flash is, and that causes him to be distrustful. In an effort to prove himself capable, Wally gets in a bit of trouble with The Shade. There is also a Christmas story where Wally handles things in Central City so that Barry and Iris can go on an uninterrupted date. Whether that leads anywhere, only time will tell. I liked the story by Joshua Williamson. The art holds up the story nicely. I don't mind this new Kid Flash, but I hope future volumes are more about The Flash himself. 'Harbinger Renegade Vol. 1: The Judgment of Solomon' by Rafer Roberts with art by Stephen Segovia is a pretty decent story about a dysfunctional team of superheroes who need to figure out how to work together again. The story starts with a prelude that introduces the Renegades. The current most active member is Faith "Zephyr" Herbert, who has her own Valiant series. The rest have gone into retirement or gone a bit crazy. There is a gene lurking unknown inside some people that makes them psiots. The powers can be activated, but the problem is that there is a group trying to activate psiots and having disastrous results. When Torque is attacked and a young psiot is threatened, Faith and team mate Kris Hathaway reach out to Peter Stanchek to try to get his help. The story is great. This is kind of a messed up group of people, but they seem interesting enough that I want to know more. The art was really great. I'm less familiar with the Valiant line than other comics publishers, but this book had me hooked pretty early on and I really enjoyed it. 'Blue Hour' by Dino Caruso with art by Chad Cicconi is a SF whodunnit on a colony of humans. It's ok at best. A group of planetary colonists have left Earth. They find a new home, but they must share it with the indigenous species. There is tension. There is also all the tropes that humans bring, like crime, prostitution and black market dealings. Things are uneasy with the resident population and they want to oust the humans. When a murder of a popular figure takes place, things threaten to break out into an all out war unless the murderer can be found. There are lots of flashbacks and it seems like all the human characters are interconnected. The story feels pretty standard, even with the "surprise" elements. The art uses heavy lines and feels kind of drab. The aliens look like cartoon characters, so I could never feel like they were part of the same story. I like sf stories, and I like mystery stories, so I had hopes for this one. I was disappointed. 'Brigada' by Enrique Fernandez was a graphic novel that I found confusing. Both the art and the story made this a story that was hard to follow. The story is about a bunch of violent dwarves. When they are preparing for a battle, they end up in a weird mist and all get separated. There are large fierce beasts in the forest, and witches and other creatures. There is a strange well. There is the chaos that happens during battles, and at the heart of the story is Ivro, who is just trying to get his party back together safely. I alternated between liking and disliking the graphic style. The characters were very angular in nature, and I had a hard time sometimes distinguishing the dwarves. There is one human (?) character with a long distended chin. It kind of kept pulling me out of the story because it seemed a bit grotesque. I think the art is good, but it doesn't serve the story so well. The story was convoluted and confusing as well. There were a lot of times I could understand how Ivro felt, because I felt completely lost in a mist as well. Maybe I should try to read this again, and it might make more sense. 'Wake Up and Live: The Life of Bob Marley' by Jim McCarthy with art by Benito Gallego is an attempt to put the life of the reggae superstar into a graphic novel format. It sort of works. My review copy was only the first 51 pages, but I think I got a good taste of this. The book starts with a nice introduction essay by John Masouri, the author of a book about Peter Tosh, then we get into Bob Marley's story. It starts early with a short history of slavery in Jamaica, then moves to his early life in Nine Mile, Saint Ann Parish in Jamaica, where he lived with his mother. They moved to Kingston, and that's where he got into music. The book traces the trouble he got in to and the friends he made along the way. My copy ends with Bob and his wife Rita and a weird dream she has about a cat. The art and color are fantastic. The story is less so. The story is told in Bob's particular patois. There are plenty of footnotes to learn the slang and lingo that is being spoken. I got used to this, but it took a few pages to get into the rhythm of the speaking. The story could have used a few more explanatory speech bubbles. The story jumps forward in time. It would have been nice to know when event were happening. I liked it, but I felt like the story jumps around a bit much. I received a review copy of this graphic novel from Omnibus Press and NetGalley in exchange for an honest review. Thank you for allowing me to review this graphic novel. 'Lady Mechanika Vol. 3: The Lost Boys of West Abbey' by M.M. Chen with art by Joe Benitez and Martin Montiel is the third volume in the series and I think the series is getting better all the time. This time around, someone is kidnapping orphans. Lady Mechanika is joined by Inspector Singh. They find a mysterious toymaker, a dying man, and a strange religious ritual that all may be behind the disappearances. The story is fun, the art is great, and the steampunk elements work really well together. We still don't get much in the mystery behind Lady Mechanika, but there are more hints in the form of nightmares. That's fine because the main stories are adventure filled romps that are fun to read. Sea Creatures #2: "Armed & Dangerous"
'Sea Creatures #2: 'Armed and Dangerous'" by Christophe Cazenove is the second in this great series about undersea creatures. The series is funny and educational. Like the last book, this one starts with a chart explaining threatened species ratings. These abbreviations are used throughout the book. Then it's on to the fish. There are parrotfish, clownfish, the mimic octopus, and others. There are crabs and sharks. Fish features like fins and bioluminescence are explained. Each page is a one sheet gag story with a gag at the end, and in a lot of cases, an informational panel showing where the creature lives and it's extinction abbreviation. Some of the gags this time around seem a bit more mature in nature, but I think it's still fine for kids. Most of it makes me laugh and I learn a thing or two along the way. 'What Can Your Grandma Do?' by Anne Sawan with art by Sernur Isik is a cute picture book about the many talents that we all have, even if they don't seem obvious at the time. Jeremy's school is having a talent show for grandparents. The other kids all have grandparents who can do wonderful things like bake or splint an arm or make paintings. Jeremy isn't sure his grandma has a talent, but then he finds that it has been right in front of him this whole time. The art in the book is cute with color tending towards pink and pastels. The story is a cute one and the lesson that everyone is good at something is not a bad one to teach children. 'Chicago Monsters: A Search-And-Find Book' by Carine LaForest with art by Lucile Danis Drouot is a picture book introduction to a city, with the additional task of looking for hidden monsters. The familiar sites of Chicago are presented: The Cloud Gate, the Michigan Street Bridge, Lincoln Park Zoo and others. Hidden among the drawings are little monsters to find. Some are pretty obvious, and some are hidden a bit more. Each page tells you how many monsters are hiding. It's a cute book for a young traveler to a new city, or perhaps for a child who lives in the city. At only 22 pages, it seems a bit skimpy. I received a review copy of this ebook from City Monsters, Chouette Publishing, and NetGalley in exchange for an honest review. Thank you for allowing me to review this ebook. 'San Francisco Monsters: A Search-And-Find Book' by Carine LaForest with art by Stephanie MacKay is a picture book introdution to a city, with the additional task of looking for hidden monsters. The familiar sites of San Francisco are presented: The Golden Gate Bridge, Hyde and Lombardi streets, Fisherman's Wharf and others. Hidden among the drawings are little monsters to find. Some are pretty obvious, and some are hidden a bit more. Each page tells you how many monsters are hiding. 'Dustrats: Or, the Adventures of Sir Muffin Muffinson' by Adria Regodosa is a fanciful tale of pretty great imagination. The art is detailed and really nice. Sir Muffin Muffinson watches over baby Emma while she sleeps. If the room isn't tidy, the dustrats come out to play. Then Sir Muffin must don his trusty vacuum backpack and catch them. The problem is that as they hide in each room the rooms are transformed into different things like a castle, or an underwater scene, or some place with monsters. Can Muffin catch the dustrats and save little baby Emily? I loved the imagination and detail in the art. There are so many details to find and look at. The art is great and the story is pretty cute. The dustrats are playful and mischievous, but not scary in any way. This is a good picture book to read aloud. I received a review copy of this ebook from POW! 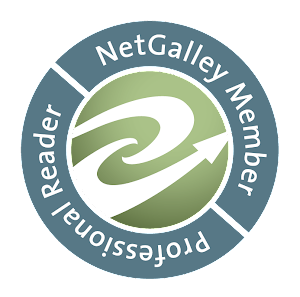 Books and NetGalley in exchange for an honest review. Thank you for allowing me to review this ebook. In 'Green Lanterns, Volume 2: The Phantom Lantern' by Sam Humphries with art by Robson Rocha, the Earth is now being protected by two new Green Lanterns, but will that be enough to save it? Jessica Cruz and Simon Baz are the newest Green Lanterns, but Jessica can't quite control her power and Simon doesn't think he has enough power. They are also helping to hide Rami, one of the last Guardians. Rami has a secret, a phantom ring. With the phantom ring, anyone can wear it, and it covers all the color spectrums, but at a pretty great cost. This brings bad guy Volthoom out of the universe to hunt him down. It also brings a guy named Frank Laminski who was passed over to be a Green Lantern and has delusions of being a superhero. It's a really solid story arc. Frank is played out as pitiable and a bit crazy. The original Guardian brings some good original history of how the rings were created. Simon and Jessica kind of come in to their own, which is good because they are going to need it. This is a pretty good team up. The art is fantastic. I really enjoyed this one. 'Warp' is Lev Grossman's first novel, finally seeing print. It's fictional, but has the feel of being somewhat true. The author's forward is pretty good. He explains how the story came about, and what it was like to revisit it all these years later. It's about a particular time in life. In this case, it is being college aged in the 1990s. The story is kind of a night in the life. There are lots of conversations, geeky inner monologues, and the kind of silly, stupid fun you get into with friends. It's light on plot and structure, but it's supposed to be. It captures a period of time pretty well. It's also not like the author's other works as far as I can tell. I found it nostalgic and made me think of the time in my life when I was about the same age. 'When Crocs Fly: A Pearls Before Swine Collection' by Stephan Pastis brings back the usual gang of animals (and some new ones) for some really funny comics. Zebra is plagued by his neighbors the crocodiles who want him to come over for a barbecue, and to be the main course. Pig is still not very bright, but he is pretty endearing. There are some penguins who can't find their wives, but should be more worried about a hungry polar bear lurking nearby. There are also some lemmings who regret things they've done. I find this comic strip to be very funny. I always devour a new collection, and it always makes me laugh, especially the clueless crocodiles and their always failing attempt to lure zebra on to their table. The humor here is perfectly appropriate for children, and my inner child. 'Change: The Tools You Need for the Life You Want at Work and Home' by Gary Brandt is a pretty good book on how to deal with change. The author has his share of experience with the subject. The book is told as the story of a company going through a merger/takeover. As part of the process, there will be layoffs and uncertainty. The story of change gets played out in the characters. One refuses to accept change, others find their way. Along the way, the lessons of how to deal with change are given. "You Don’t Always Get to Choose Change, but You Always Get to Choose Your Response" being my favorite quote from the book. Having gone through a fair amount of change over the last several years, I have been each of the characters in this book. How you respond to change makes all the difference. At less than 200 pages, this is a fairly quick read. I appreciated the approach and the author's personal story was pretty poignant. I have already recommended this book to someone on the verge of some pretty major change. 'The Detonators: The Secret Plot to Destroy America and an Epic Hunt for Justice' by Chad Millman is an historical account of an act of sabotage, and the years it took a group of lawyers to get Germany to take responsibility. During World War I, before the USA was in the war, we were helping to send supplies to England. The German government put a plan in place to sabotage Black Tom Island in New York in order to disrupt these shipments. The first part of the book recounts this. The immigrant German population, and how they were recruited. This section finishes with the completion of their plan. The bulk of the rest of the book follows the case the US Government made trying to prove that Germany was involved. As evidence is found and a case is built, Germany finds ways to evade. John McCloy was the determined young lawyer who never gave up, even though others around him did. This was a fascinating look at an incident that I wasn't even aware of. I loved the way the book was put together. The end of the book includes photos of the principal people and pictures depicting the evidence and the damage to the island. There are extensive notes for every chapter. It's a good combination of spy thriller and court intrigue. I really enjoyed reading this book. I received a review copy of this ebook from Little, Brown and Company, and NetGalley in exchange for an honest review. Thank you for allowing me to review this ebook. 'Lisa and the Lacemaker' by Kathy Hoopmann with illustrations by Mike Medaglia is a comic book with a mystery. It will also subtly teach you about Asperger's as you learn about the main character. Lisa doesn't like parties, but her mom makes her go to her grandmother's party. She ends up outside and meets an aunt who also doesn't like parties. On her way home from the party, she visits her friend Ben and while she is there, she finds an abandoned house on the property. Little does she know, but this house and her aunt share a history. The story is a fun read. Lisa has an imagination that runs wild, but she's intelligent. When she gets in trouble, she doesn't make eye contact. But she is a sweet girl and has a big heart. I liked the illustrations, and I liked getting to know Lisa. 'Little Red Fish #5' by James Moffitt and Bizhan Khodabandeh is the conclusion of this series. It's been an amazing ride with stunning art. The final battle is approaching. The little red fish, thought dead, is back to help plan the fight against the herons. Unfortunately, another faction rises among the fish and forces a new rule of tyranny on the fish. Which is worse, being ruled by the herons or other fish? And what will the final fate of the red fish be? I have really enjoyed reading this unusual allegory of the 1979 Iranian revolution. It has been well told and the art is beautiful. When I first started reading this series, I didn't know what is was about. Learning that has made me appreciate this series and look forward to every issue. I highly recommend this beautiful and unusual series. I received a review copy of this issue from Rosarium Publishing-Sink/Swim and NetGalley in exchange for an honest review. Thank you for allowing me to review this issue. 'Stormy Seas: Stories of Young Boat Refugees' by Mary Beth Leatherdale with illustrations by Eleanor Shakespeare follows the stories of 5 young refugees on dangerous sea journeys. The five journeys include a young lady fleeing the Nazis and sailing for Cuba, A 14-year old Vietnamese boy fleeing for life in the United States, and A young woman fleeing the Taliban for life in Australia. In all cases the journeys were complicated by things storms, overcrowded boats, or countries that wanted to turn them back. Each story tells what happened to the person. The book ends with an timeline of refugees from World War II to the present. There is also a list of references of groups that work with refugees or have history about them. It's aimed at younger readers and it's done very well. The seriousness of the peril is there without going into graphic details. Historical context is given as well as timelines. I really appreciated getting to read this book. The Loud House #1: "Fullest House"
'The Loud House #1: "Fullest House"' by Chris Savino is a graphic novel based on the new Nickelodeon show. Lincoln Loud is a middle child. He has 10 sisters, 5 older and 5 younger. Each sister has her own personality, and it's tough for Lincoln to do simple things like watch television. Along with some short comics, there are some comics with Lincoln looking for the remote. These comics feature Lincoln and one member of the house. At the end, the reader can choose to ask a different member of the house and turn to that page to find out what happens. It's a fun kind of choose your own adventure. The art is fun. The characters are a bit one-dimensionals, but that's to be expected from a cartoon with so many characters. There is an interview with the creator of the series included. I've never seen this cartoon, but the graphic novel was a lot of fun to read. 'The Invisible Library' by Genevieve Cogman is the first in a new series about a secret society, librarians protecting stolen book, alternate worlds, alternate literary characters, fey, dragons, robotic reptiles, airships, and more. All that is part of the problem I had with the book. Irene works for the library. The book starts with her rescuing a book, ala James Bond movies. She then gets sent on a mission to retrieve a book from an alternate London. She is sent with a new partner named Kai. While in London, they run into a mystery and there are attempts on their lives. They find an ally in a really smart detective who seems really familiar. They also find out a mysterious enemy of the library is on their trail. I liked the basic concept of this book, but it seems like lots of other things get piled on along with it. When those other story elements came in, the story felt a bit more muddied to me. I would have liked a bit more character development this time around, and more of the chaotic worlds involved as the series progresses. I did like it, and I will try the next volume. I received a review copy of this ebook from Roc, Berkley Publishing Group, and NetGalley in exchange for an hoest review. Thank you for allowing me review this ebook. 'Bill & Ted's Most Triumphant Return' by Brian Lynch is the sequel we didn't think we'd get. I'm not sure some of us wanted one either. Starting with a pretty decent interview by Alex Winter, the story then starts with all kinds of chaos. Bill and Ted are living the dream with little Bill and Ted and the princesses, but their future isn't as secure as they thought it was. While they look for lyrics to their second hit, they find someone who is not a fan of Bill and Ted. The movies are fun because you have airheads Bill and Ted, but you also have the historical figures that showed up along the way. What this story is, is just the airhead parts. Death shows up as a supporting character and some of the other historical folks make cameos. Instead, it's a story of these characters trying to fix their timeline. It's fine for what it is, but I was hoping for a better story. 'Hal Jordan & The Green Lantern Corps, Volume 1: Sinestro's Law' by writer Robert Venditti. There are things that have led up to this issue, so if you aren't up to date, then this might not be the place to start. Hal Jordan is alone and everything is wrong. The Green Lantern Corps is gone. His ring is gone. What is not gone is Sinestro and his own Corps. In their yellow uniforms they feed on fear and protect Sinestro's war planet. Hal finds a way to get a ring, and remnants of the Green Lantern Corps limp back. Guy Gardner is sent on a recon mission and in typical Guy Gardner fashion stands up to Sinestro's goons. Hal finds help in unexpected places. It's a big sprawling space epic of a story. There are lots of space battles and grit.. The Green Lantern Corps is definitely outnumbered and possibly outgunned, but they make a fight of it. I liked the story and the art. I haven't always been the biggest fan of Green Lantern, but the stories I've read lately have been pretty good. 'My Name is Lucy Barton' by Elizabeth Strout is a personal character remembrance told from a hospital bed. And it's another well written book by Strout. Lucy Barton is in the hospital recovering from an operation (we never learn what). She is surprised when her mother comes to visit her. She hasn't spoken to her mother in years, and her mother is terrified of flying, and yet here she is by Lucy's bedside, having arrived by airplane. Most of the book is Lucy reminiscing about her life. From her poor and troubled beginnings to her desire to become a writer, we watch this somewhat scared person become a beautiful person and find her way in life. This is a quiet story, but Strout has an amazing gift for language and character. If you've not read anything by her, I highly recommend her, and this isn't a bad place to start. Her language sparkles and her characters feel like people you could run into in your daily life. They have the weight and dimensionality of real people. Strout's work always makes me look more kindly at the people I run in to. 'Quite a Mountain: A Fable for All Ages' by Jim Benton is a light picture book that packs a good message about persevering to get what you want. A bear and a frog come to a mountain. The bear wants to see what is at the top of the mountain. The frog isn't so sure. The frog tries to talk the bear out of it, but the bear starts climbing the mountain. As the bear climbs, the bear runs into other creatures with messages. The bear also finds difficulties and tears in the climb, but the bear persists. Where will the bear end up? It's certainly a picture book with cute illustrations for kids. It's also a clever fable for finding a goal and sticking with it. It is perfect for all ages. I'm going to try to be more like bear and less like frog after reading this story. 'Super Narwhal and Jelly Jolt' by Ben Clanton continues the adventures of Narwhal and his friend Jelly. I loved the first volume and this one as well. This time around Narwhal wants to be a superhero. Jelly points out that narwhals don't really have a superpowers, but Narwhal is undeterred. He will figure it out as he goes along. We learn about some of the superpowers that sea creatures have like stingers and sonar and being loud. Narwhal eventually finds his superpower and it's a very heartwarming one. I love these graphic novels for young readers. These would be great to read aloud to pre-readers. Its such a fun series and it makes me smile. 'The Realist' by Asaf Hanunka is a graphic novel. It's a series of weekly strips he created for an Israeli paper called the Calcalist. The strips are about Hanuka, his wife, and their young son. It's their life in Tel Aviv as they look for a new place to live. Some strips have a surreal quality. There are strips about people worried about bombings and leaving the city. There are strips about marriage and raising a child. There are also full page drawings, like one that shows the apartment they are looking at with a mirror reflection of the apartment they are idealizing. Or a broken down car oozing with human organs at the mechanics shop. The artist is a commercial illustrator and also a contributor to the animated film Waltz With Bashir. His look at the city he lives in is funny at times, and strange. I really enjoyed reading this graphic novel. The art is really great, moving between more cartoonish and more realistic and weirdly surreal. I liked the strips, but the full page drawings were my favorites. I received a review copy of this graphic novel from Archaia, BOOM! Studios, and NetGalley in exchange for an honest review. Thank you for allowing me to review this graphic novel. 'Stitched #1'by Mariah McCourt with illustrations by Aaron Alexovich is a fun new series with monsters. This group of monster friends would be a great read for younger readers. Crimson Volania Mulch has woken up in the Cemetery of Assumptions and she doesn't know who she is. She has great wild hair and she seems to be stitched together. A group of local ghosts takes her in, but she is soon rescued by Wisteria Smials, a werewolf. With Wisteria's help, she meets some of the other creatures around her. A a swamp boy, an illusive vampire, and a witch who has trouble with spells. It's an introduction to a fun group of characters, and an interesting setting. These monsters and situations tend toward the cute and not scary. There are zombies, but they end up getting turned into cute zombie sheep, then zombie bugs. A door turns into a blooming bunch of flowers. I think it would be a perfect graphic novel for younger readers who like monsters without all the scariness associated with them. 'Welcome Back, Vol 1: Help, I'm Alive' by Christopher Sebela with art by Jonathan Brandon Sawyer is a trippy graphic novel about past lives, past enemies and moving forward when things seem stuck in the same cycle. Mali lives an ok life. She's got a roommate, a place to live, a dog, and a boyfriend. She's also got a serial killer for a dad and has to live with that in her past. That's not the only thing in her past. She also finds out she has been living over and over and fighting the same enemy in all of her previous lives. In each life, one prevails in combat, and then commits suicide so that the cycle can start all over again. Mali is just waking up to this fact, but will it be in time? The story also follows her rival Tessa, and does so in what I thought was a pretty easy way to follow both stories. It's the kind of in your face story that you just have to read and not ask too many questions, like how can Mali be so good at combat when she doesn't seem to have ever trained? Reincarnated warriors who want things to stop doesn't seem totally new, but I like the way things were handled in this medium. The art is pretty good in this graphic novel. I liked it. 'Golem' by Lorenzo Ceccotti is a 280 page story set in a dystopian future Italy. I found the story hard to follow, but the gorgeous art kept me turning pages. The story takes place in a weird hyper-capitalistic Italy. It follows a young boy who is kidnapped. We meet a faction of people trying to rescue him. There are bright cityscapes full of advertising. There is weird product placement everywhere. People where strange gadgets over their faces that look like they have smartphones mashed up against their noses. There is a final big battle, and it kind of lost me along the way. Regardless of the messy storyline, the art is just incredible. The artist is known as LRNZ paints beautiful eye candy. The art also holds some hidden icons and messages for the reader to discover. Hints are given at the end of the book as to what to look for. I received a review copy of this graphic novel from Magnetic Press, Diamond Book Distributors, and NetGalley in exchange for an honest review.